Bar Rail Mats powered by The MRL Group is capable of producing a wide range of bar mats in a variety of materials. Beer, wine, and liquor companies trust Bar Rail Mats powered by The MRL Group to produce exceptional products accompanied with superior service. Our bar rail mats, service mats, counter mats, and floor mats are custom designed and produced per any your specifications. Contact us today for your latest bar rail mat, service mat, floor mat or counter mat project! 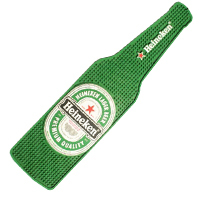 Bar rail mats are widely used in bars and restaurants, as well as for sampling and off-premise events. Imprinted with your company’s logo, bar rail mats prove to be a long-lasting and brilliant product that will create brand awareness. Our bar rail mats are manufactured from thick, heavy rubber and can be molded into different sizes with a logo of custom design. Bar Rail Mats powered by The MRL Group can produce the bar rail mat you have always envisioned. Contact Bar Rail Mats powered by The MRL Group today! Service mats are an essential item at any bar, restaurant or nightclub, they are an excellent and innovative promotional product that will help your company reach customers. 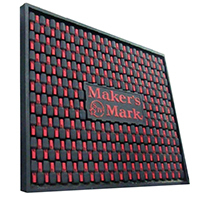 Bar Rail Mats powered by The MRL Group produces service mats that are made of heavy rubber which can be molded into different sizes and imprinted with any custom logo design. Contact Bar Rail Mats powered by The MRL Group today, so we can create a unique service mat beyond any expectations. Floor mats are a functional tool used for promoting your company. 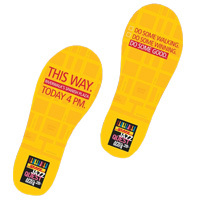 All of our promotional floor mats make great use of the space right at your customer’s feet. Bar Rail Mats powered by The MRL Group provides a variety of floor mats to meet any of your business needs. Our floor mats can be customized with your company name or logo. Our wide range of mats range from indoor mats, outdoor mats, entry mats, anti-fatigue mats, and POP & display mats. Contact us today! Counter mats are a great way to every bit of surface area to promote your company. 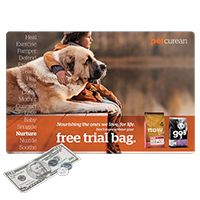 Counter mats are great for targeting your audience, generating sales, and creating brand awareness. Made from vinyl, dye-sublimated cloth, or high quality cardstock, our counter mats are adaptable to suit any design or budget. Contact Bar Rail Mats powered by The MRL Group today to experience the difference of working with a company who puts your needs first.